Upon receiving approval for in state tax incentives and state sales tax rebates, Indatus (formerly Plant Telecom) began making plans to relocate its headquarters from New Albany, IN to Louisville, KY. 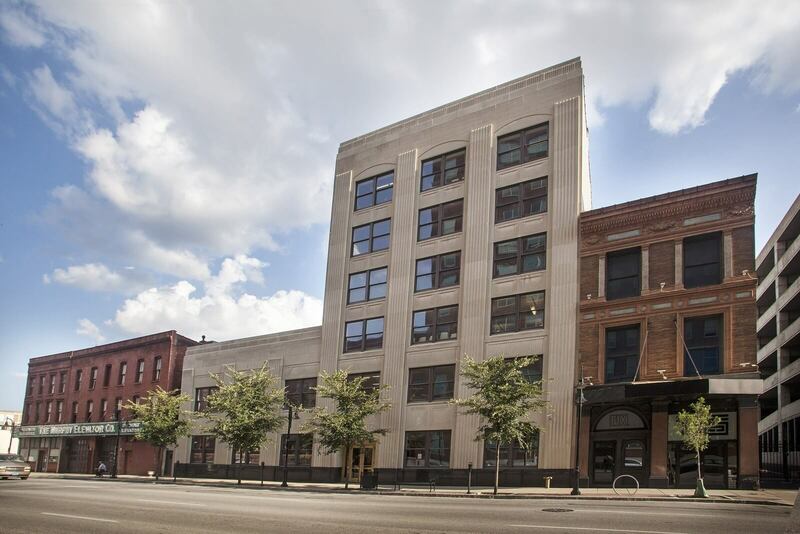 In order to accommodate the company’s fast growth, the organization purchased 2 side-by-side, historic buildings in the “Whiskey Row” corridor in the heart of downtown. The first building dates to 1875 and was home to the Paul Jones Company, creator of Four Roses Bourbon. The second building dates to the 1940’s. Combining a total of 57,000 sq. ft., renovations included preserving the character and historic features of each building in conjunction with incorporating functionality and technology. 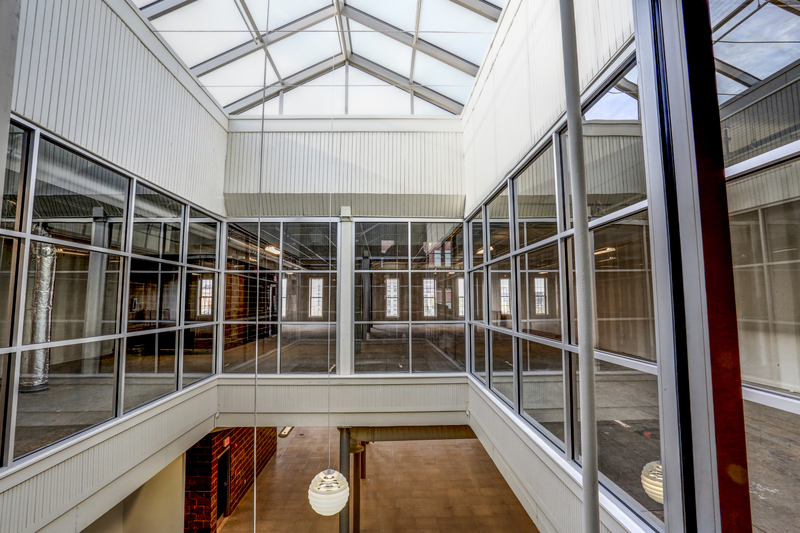 Exposed brick and original wood floors were restored with the main entry centering around an open, 2-story atrium. Indatus is a B2B provider of phone systems, data management, security and surveillance, and data and network cabling, as well as cloud-based automated answering and call tracking solutions. 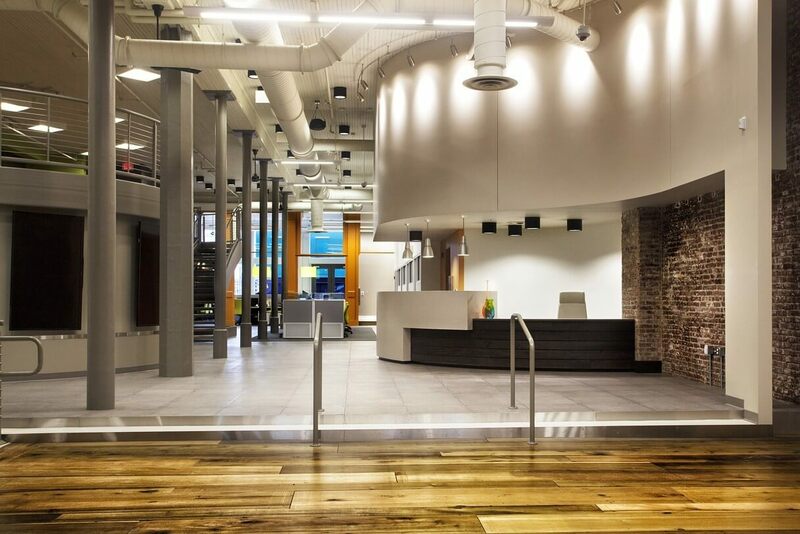 Business First named Indatus one of the “coolest office spaces” in November 2014. Additionally, Indatus’ architecture won the ABC Award of Excellence in 2015. To get a look inside their space, click here.